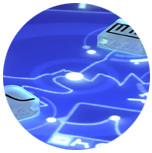 The Reactable Experience opens up a whole new universe of pedagogical, entertaining and creative possibilities. The instrument captivates through direct and immediate feedback and guides the player to understand and explore sound generation in an intuitive way, no matter the age or the musical knowledge. Its multi-user capability allows several players to use the installation simultaneously and promotes collaborative compositions. 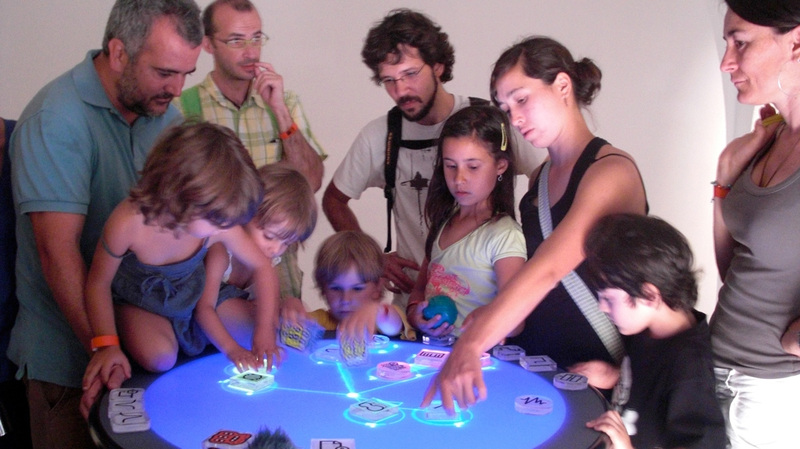 The Reactable can be used as fixed installation and can also be adapted to meet the needs of a traveling exhibition. 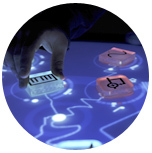 As a concert instrument the Reactable can be used to accompany or star live events in your museum. 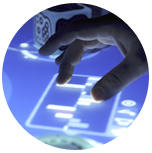 Impart a deeper knowledge of sound generation, music structure and composition by organizing Reactable workshops. 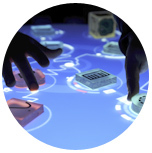 The Reactable delights hundreds of our museum visitors daily by providing a new, instantly responsive, visually compelling and socially interactive music-making experience. It is a huge hit in our "Fast Forward: Inventing the Future" exhibit.